I’m quite new to this whole baking thing. I feel lucky in that I don’t have the standard knowledge of baking to have to unlearn. I wouldn’t know what to do if you dropped white flour, white sugar, and Crisco in front of me, but give me some almond flour, eggs, and coconut palm sugar, and I’ll whip up something tasty, if not entirely cohesive. 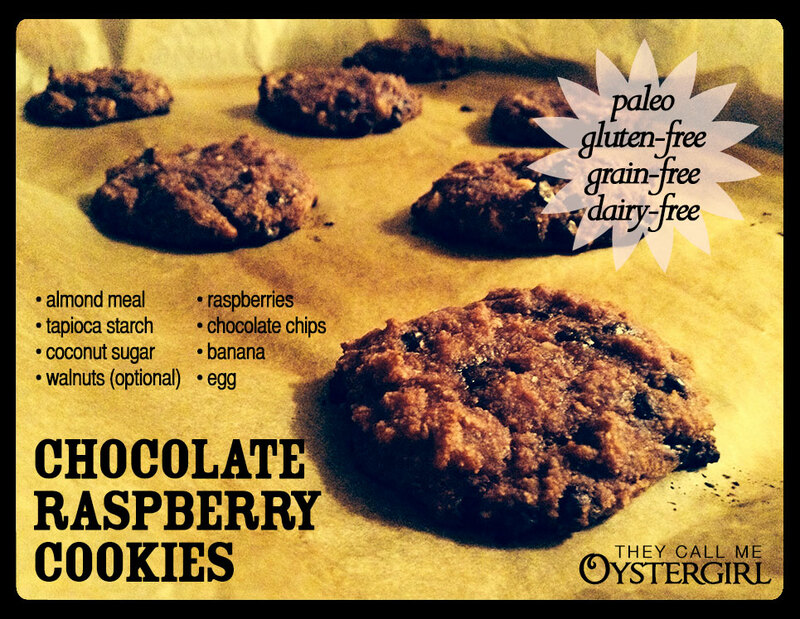 These paleo-friendly chocolate raspberry cookies are the result of such an experiment. These cookies specifically use the almond pulp leftover from making almond milk. When I make almond milk, it’s 1 cup of almonds, soaked for a couple of days, then blended with 4 cups of water and strained. The resultant pulp is a little damp and clumpy, and much of its properties have been leached into the milk, which is why it’s different from standard almond flour or meal. 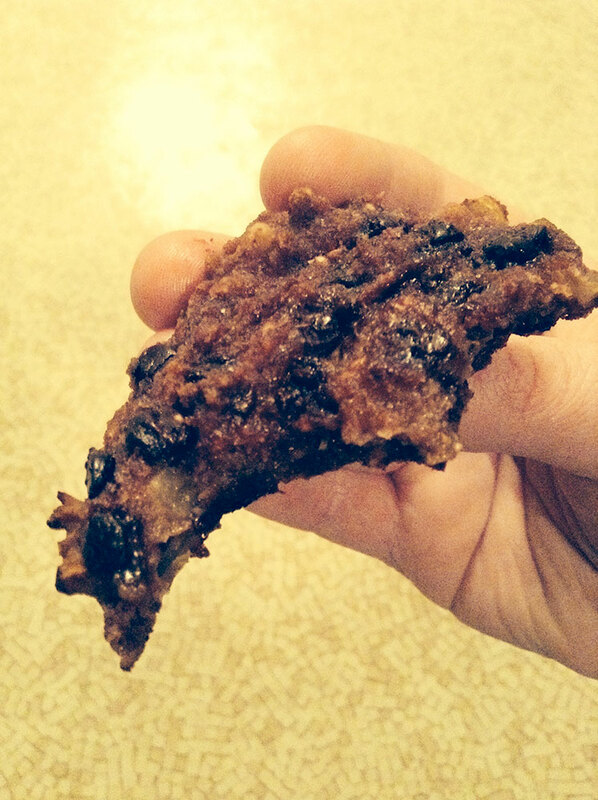 Maybe because of that, these cookies are almost cake-like: so soft, not falling apart so much as forming to your hand and melting in your mouth. Chocolate raspberry is one of my favorite combinations. The thawed frozen raspberries mush right into the batter, so rather than getting chunks of berries like you would with fresh fruit (which is an option to try), you get the rich taste of raspberry with and throughout every bite. 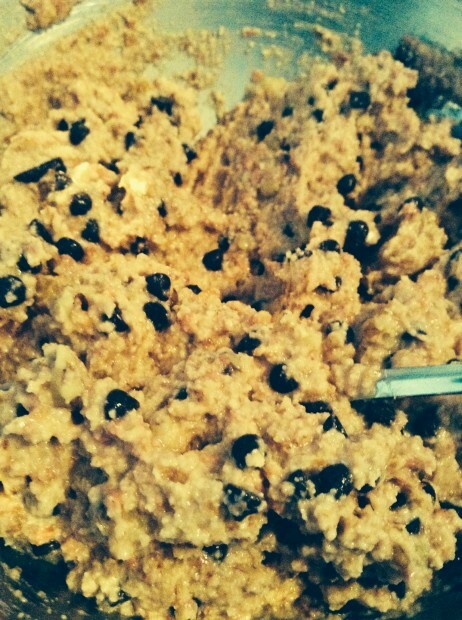 Once at a time, add and mix in the wet ingredients. Fold in add-ins to taste. Spoon onto parchment-lined cookie sheets, padding slightly. Let cool, for a while. They will firm up, out of the oven.